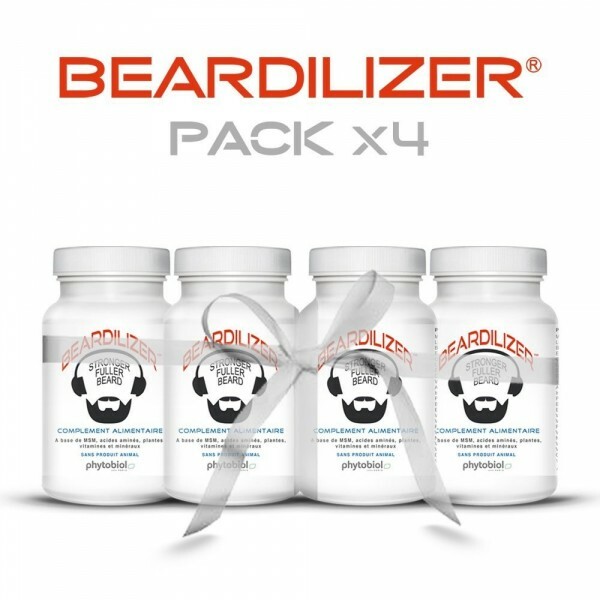 Beardilizer - 4 BOTTLE PACK OF 90 CAPSULES - Its unique formula nourishes and enriches daily facial hair system, to accelerate the growth of beard hair to natural herbal increases the density of the beard for a regular report, homogeneous, nice and soft. 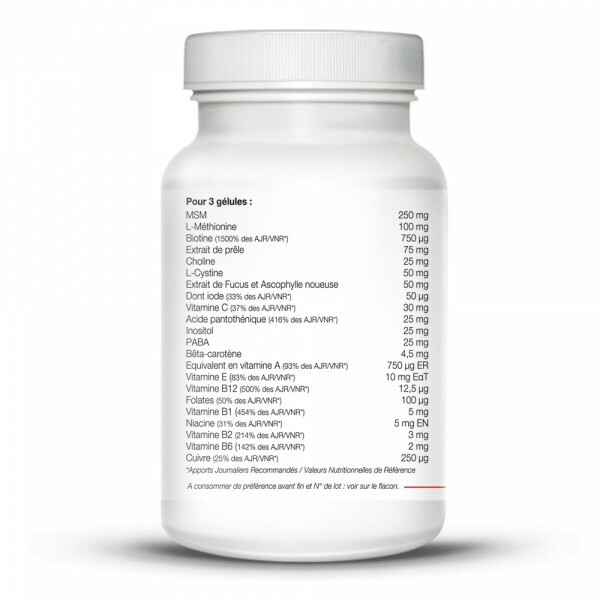 Visible results within a few weeks of treatment. 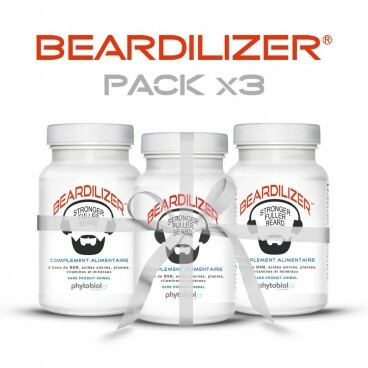 Save over 20% and enjoy this 4 vials Beardilizer pack of 90 capsules, ideal for 4 months treatment, and recommended for best results. There's something different about the current man today. He appears stronger with added facial features. 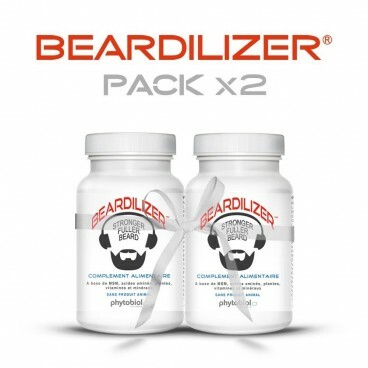 It's a current trend that has men everywhere growing . . . their facial hair! 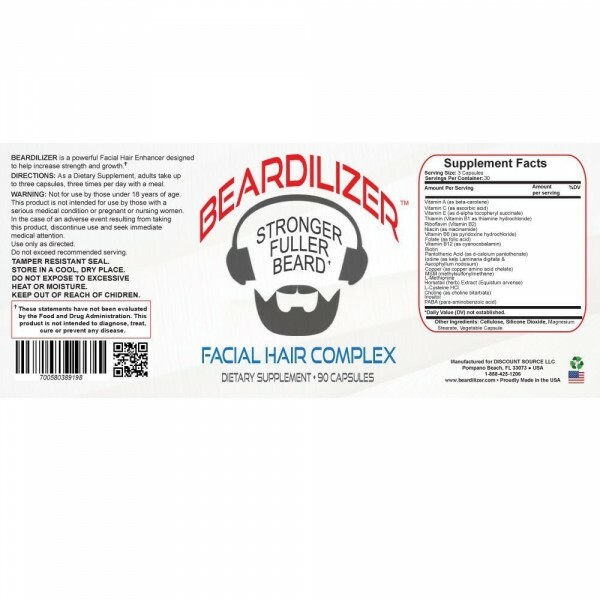 For those who are "beard growth challenged" there's a product on the market to take care of this issue: Beardilizer is a facial hair complex that gives a man a stronger and fuller beard! 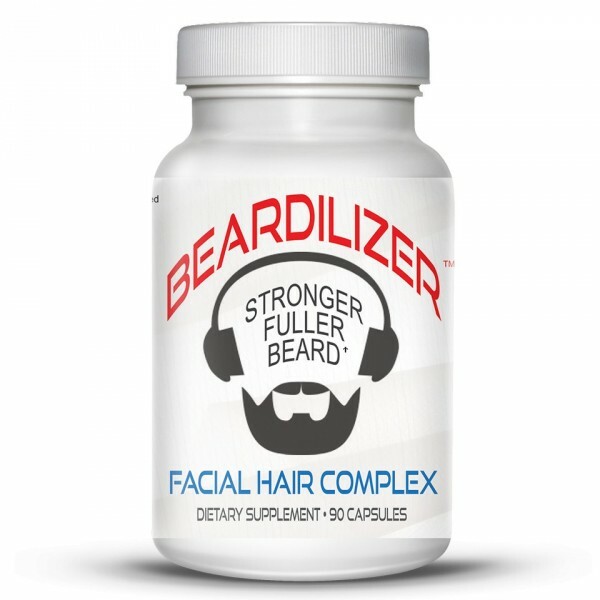 It's a natural dietary supplement that acts as a powerful facial hair enhancer for ultimate strength and growth of the beard! 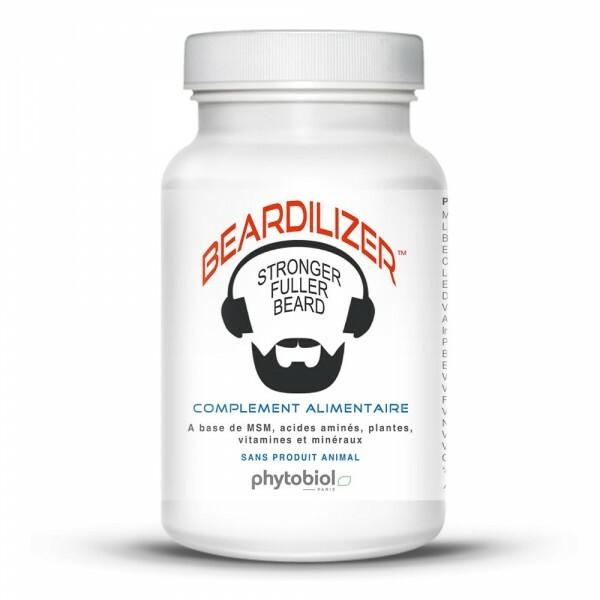 Take one to three capsules a day with a meal: This powerful multivitamin complex will surprise you with its amazing benefits that prevent itchy beards and sooth the skin! 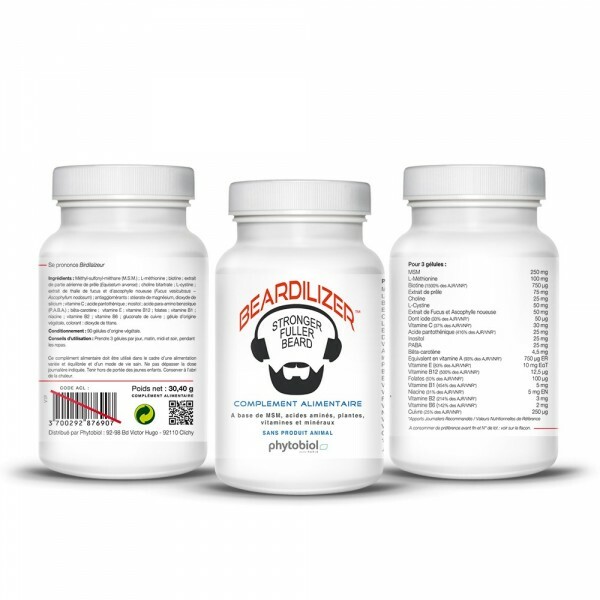 Treat your beard like you would treat your teeth, with care! 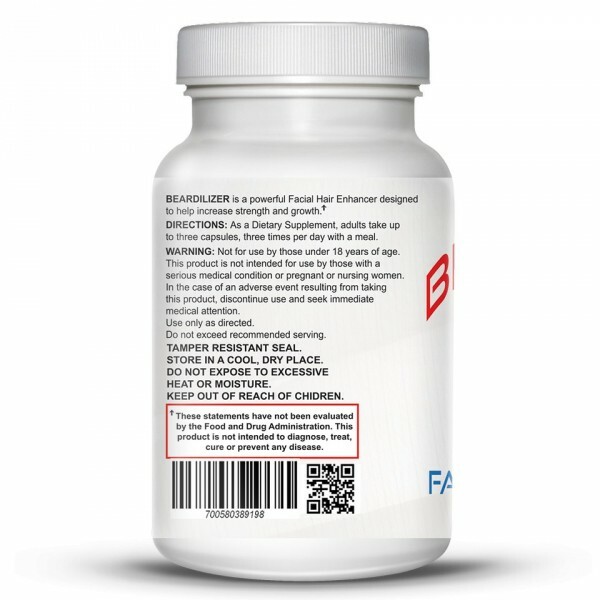 Don't waste time with drugs that might have nasty side effects. Grow the beard you've always wanted with Beardilizer! 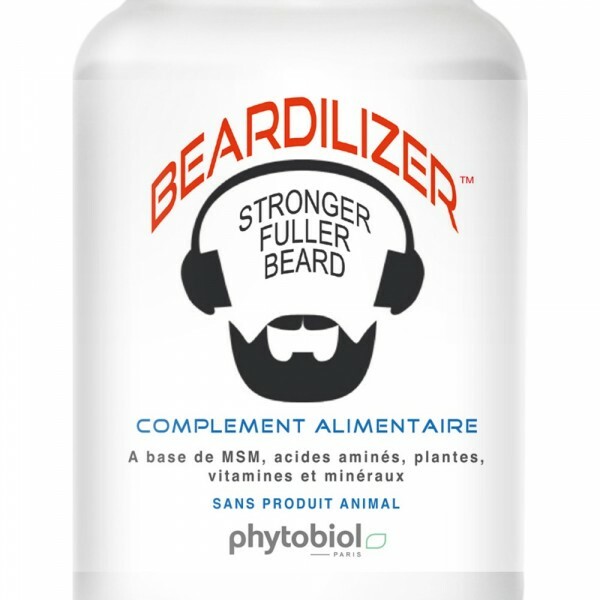 * Beardilizer contains no animal matter and respect the rules of vegetarian diets and Halal food. 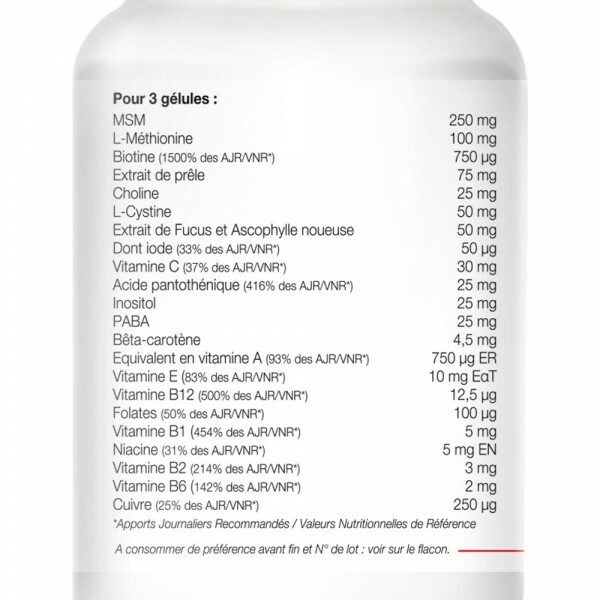 COMPOSITION : Vitamin A (as beta-carotene), Vitamin C (as ascorbic acid), Vitamin E (as d-alpha tocopheryl succinate), Thiamin (Vitamin B1 as thiamine hydrochloride), Riboflavin (Vitamin B2), Niacin (as niacinamide), Vitamin B6 (as pyridoxine hydrochloride), Folate (as folic acid), Vitamin B12 (as cyanocobalamin), Biotin, Pantothenic Acid (as d-calcium pantothenate), Iodine (as kelp Laminaria digitata & Ascophyllum nodosum), Copper (as copper amino acid chelate), MSM (methylsulfonylmethane), L-Methionine, Horsetail (herb) Extract (Equistum arvense), L-Cysteine HCl, Choline (as choline bitartrate), Inositol, PABA (para-aminobenzoic acid). 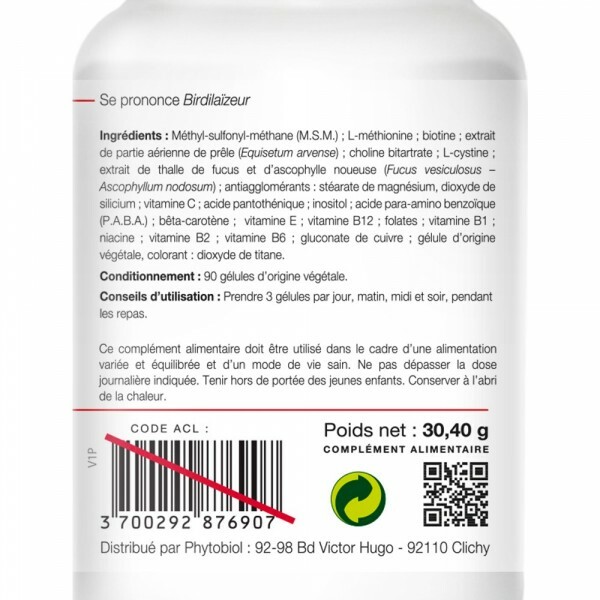 Other Ingredients: Cellulose, Silicone Dioxide, Magnesium Stearate, Vegetable Capsule. 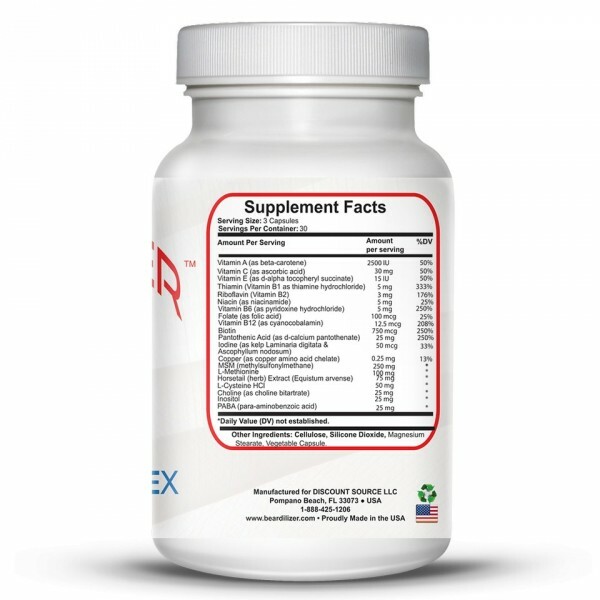 MODERATE TREATMENT : Take one capsule three times a day with meals. 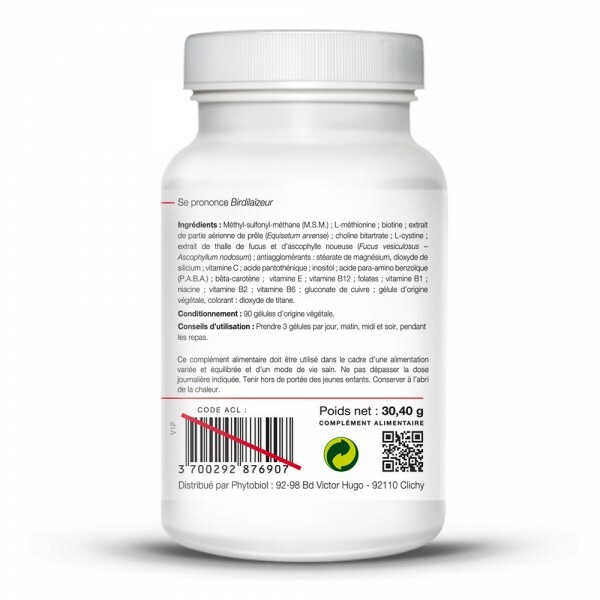 INTENSIVE TREATMENT : Take 3 capsules 3 times per day with meals (Warning for intensive treatment maximum period of 8 to 10 days).